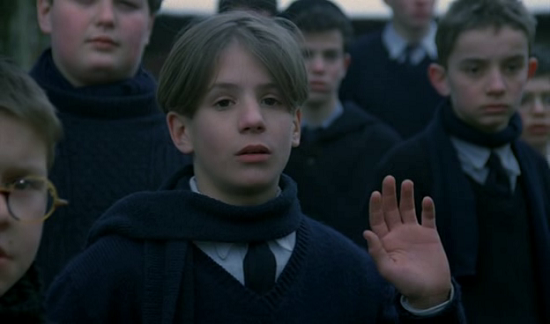 Au Revoir, Les Enfants (Good bye, Children) is unquestionably the most personal and arguably the most powerful film that Louis Malle has directed (famous for ‘Elevator to Gallows’ and ‘Murmur of the Heart’). It is the autobiographical tale of the time he spent in a French boarding school during the German occupation of his homeland. It's a work that has the kind of simplicity, ease and density of detail that only a film maker in total command of his craft can bring off, and then only rarely. 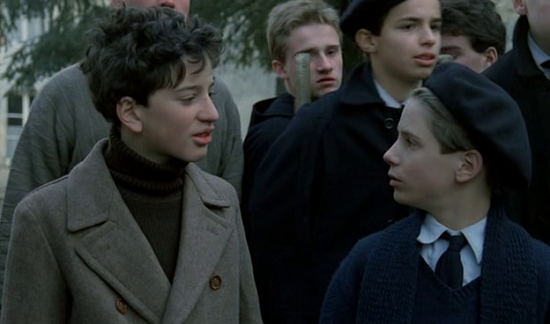 In 1944, during the Nazi occupation of France, an upper class boy Julien Quentin and his brother François travel to Catholic boarding school in the countryside after vacations. Julien is no ordinary student. He is intelligent and different from the others. The school is also no ordinary boarding school- it has a secret. Jean Bonnet, a new student, arrives at the school one day and he becomes a sort of intellectual rival to Julien. After some early hostilities the boys begin to connect, and eventually become good friends. Malle does not rely on overly dramatic sequences where not necessary as a way to build up the plot. Instead he shows us the monotonous daily routines of life at the school: prayers, mass, classes, music and exercise classes, and even air-raids. Eventually, Julien comes to realize that his new friend is a Jew. He is too young to really understand what the big deal is. What is the problem with Jews he later asks? During parents’ visitation, Julien takes Jean along with his family as Jean has not seen his father in two years, or heard from his mother in months. While at the restaurant, French collaborators come in and begin harassing a long time customer because he is Jewish in a 'No-Jews-allowed' restaurant. Things seem like they are about to explode for the young boys but to their, and our, surprise the collaborators are thrown out by some German soldiers who are eating at the next table over. We see the fear in Jean's eyes every time the Germans come near, and in one intimately close instance after the boys had been lost in the woods and stumbled upon a road and unknowingly flag down a car driven by Nazi soldiers, Jean attempts to run away only to be caught. The soldiers do not realize that Jean is a Jew, or that the priest has been hiding Jews at his school. After all, why would they? They drive the boys back to the school. These scenes work like magic on screen. The actions and words are hauntingly real and often naive. When the priest Jean discovers that the servant Joseph is stealing supplies from the school to sell in the black market, he fires the youth. Sooner the Gestapo arrives at school to investigate and identify the three Jew students and the priests that run and work in the boarding school. The Jewish children are betrayed by a hostile ex-employee of the school, forcing Julien once more to be a bystander to history as Jean and the teachers are arrested. 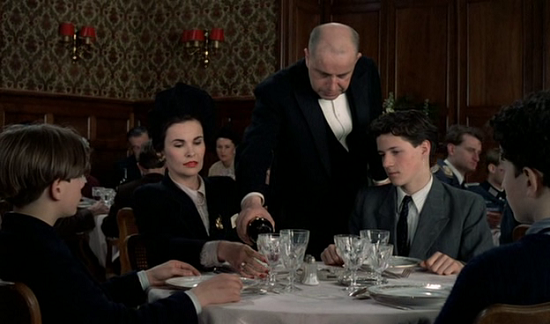 "Goodbye, children" is a very good study of the division among French people at the time. When an old Jewish man is arrested at the restaurant by the French "milice" (political police under the Vichy regime), there is as much applause as protest. What comes as a surprise is the positive role played by the church, impersonated here by Father Jean, who is in fact a resistant hiding Jewish children and holds provocative sermons during mass. 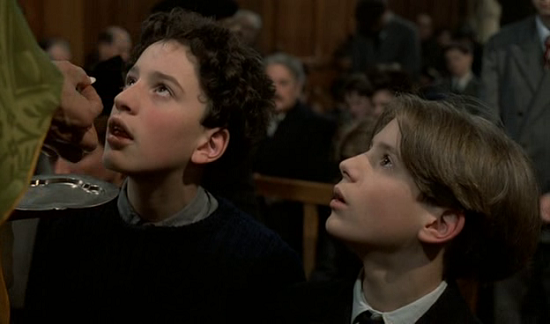 There definitely existed such priests, and it is all the more surprising to get that portrayal from a left-wing director like Louis Malle. The film is also about loss, and it gets all the more effective in doing so that it ends abruptly, leaving you with a feeling of irreversibility. You never quite know how long you are going to know someone, how long you still will be there, you are rarely quite aware when you see someone for the last time. It is only when people are gone forever that you realize how meaningful they were to you. The final moments in this film are perhaps one of the most traumatic and dramatic scenes I have ever seen. The atmosphere, the music, the photography, the cloud of melancholy that Louis Malle inmerses us throughout the entire movie meets at the last scene, in which we come to understand all the dialogues of the movie, all the feelings of the young boy and how the beauty of a pure friendship can be annihilated by external events that children can't conceive or grasp. This film is hauntingly beautiful and touching. 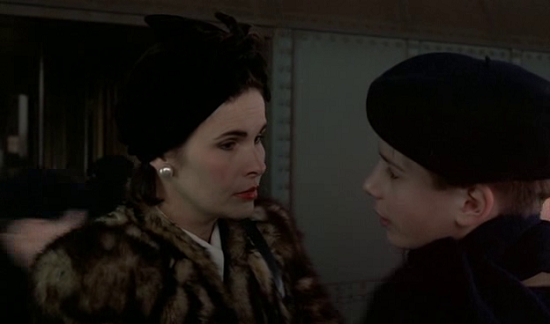 Louis Malle has said that he wanted to make this film a long time ago, but could not find the strength. The film is not a direct parallel to the real events, but perhaps more a parallel to Malle's memories and guilt about the incidence. The end result on film is a stunningly beautiful and incredibly touching portrait of friendship, grim childhood memories, guilt, frustration and anger and it must have worked wonders for Malle as an exorcism of his past. What is even more remarkable about this film are the stellar performances from the numerous young actors who are at the very heart of this movie, a consequence of the sensitive and masterful director.